"I am deeply ashamed of living in a country with such a tradition." At first glance, it might seem like an all-too typical scene from a long-running tradition of bloodsport. A man stands in an arena, baiting and goading a bull. When the terrified animal finally charges his antagonist, he's met with a sword. More swords follow, each thrust accompanied by a roar from the crowd. 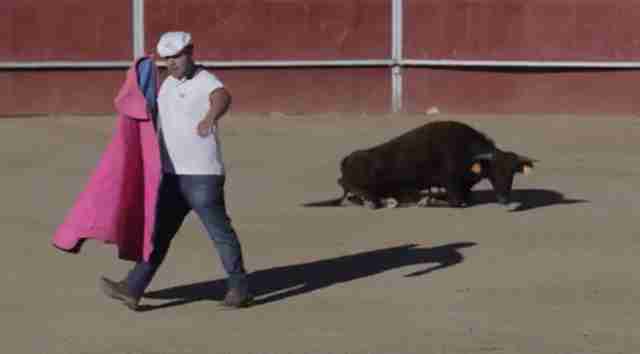 Except this isn't an ordinary bullfight. This is a grown man killing a baby animal. The bull, according to The Mirror, hadn't been weaned off his mother's milk before being thrown into an arena. This is a baby bull fight. No, not the kind we've seen before where a bullfighter, inexplicably, brings his own baby into the arena. But the kind where someone's else's child, a calf, is brought into the ring to die in a theatrical flourish of swordplay and unabashed cruelty. 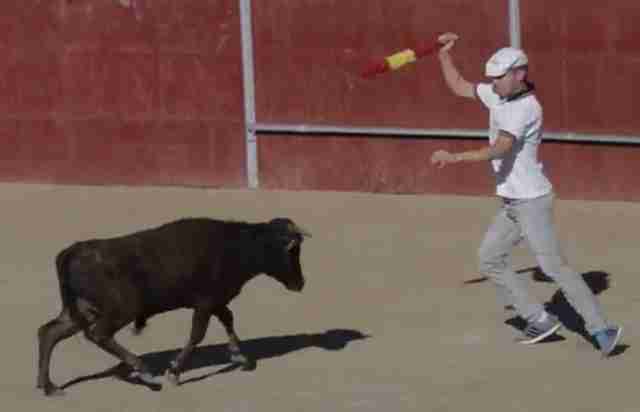 Last week, Spain's Animal Rights Party (PACMA) released a video of the so-called becerrada, the name given for this particularly sad spectacle involving young bulls. The event, according to PACMA's Facebook page, took place in the Spanish city of Valmojado this month, at the height of the country's summer festival season. 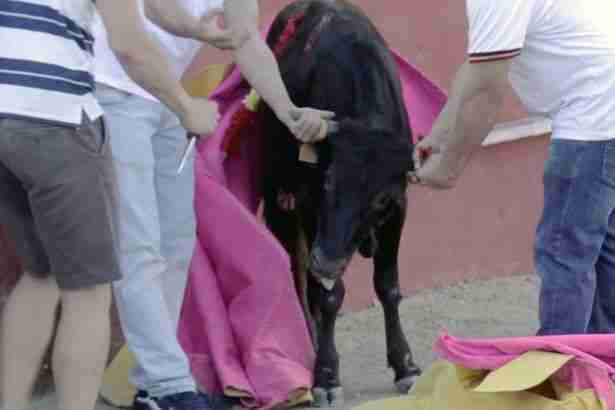 It ends with the bull, whose horns haven't even fully grown yet, coughing up blood and collapsing. "The team that has had to make this video have had their hearts broken while working with these images," PACMA president Silvia Barquero told The Mirror. "Although we are used to facing these kinds of acts, we were completely unable to hold back the tears, we will never forget it." Sadly, it's part of a longstanding and widespread tradition in Spain. As former government minister and daughter of a bullfighter Cristina Narbona says in The Independent, "I am deeply ashamed of living in a country with such a tradition." Every now and then a video comes along that makes us all want to close our eyes. And that's perfectly understandable. As long as the heart stays open. Because things really need to change in Spain. Sign the petition demanding a national referendum on bullfighting. And consider making a donation to PACMA.